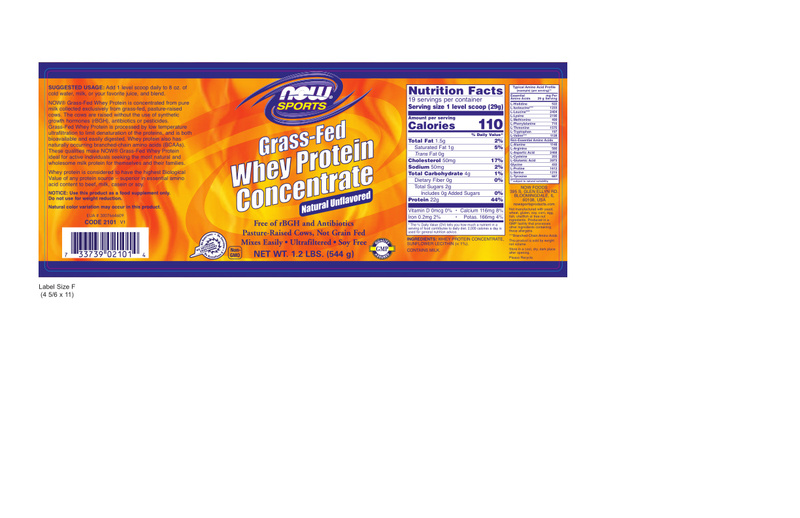 Free of rBGH and Antibiotics Pasture-Raised Cows, Not Grain Fed Mixes Easily Ultrafiltered NOW® Grass-Fed Whey Protein is concentrated from pure milk collected exclusively from grass-fed, pasture-raised cows. The cows are raised without the use of synthetic growth hormones (rBGH), antibiotics or pesticides. Grass-Fed Whey Protein is processed by low temperature ultrafiltration to limit denaturation of the proteins, and is both bioavailable and easily digested. Whey protein also has naturally occurring branched-chain amino acids (BCAAs). These qualities make NOW® Grass-Fed Whey Protein ideal for active individuals seeking the most natural and wholesome milk protein for themselves and their families. Whey protein is considered to have the highest Biological Value of any protein source †“ superior in essential amino acid content to beef, milk, casein or soy. Natural color variation may occur in this product. This product is sold by weight not volume. Add 1 level scoop daily to 8 oz. of cold water, milk, or your favorite juice, and blend. Store in a cool, dry, dark place after opening.